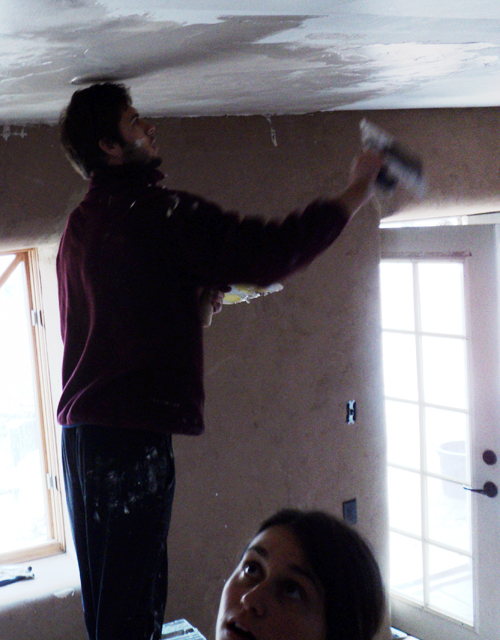 Anyway, yesterday we plastered the ceiling of the house. 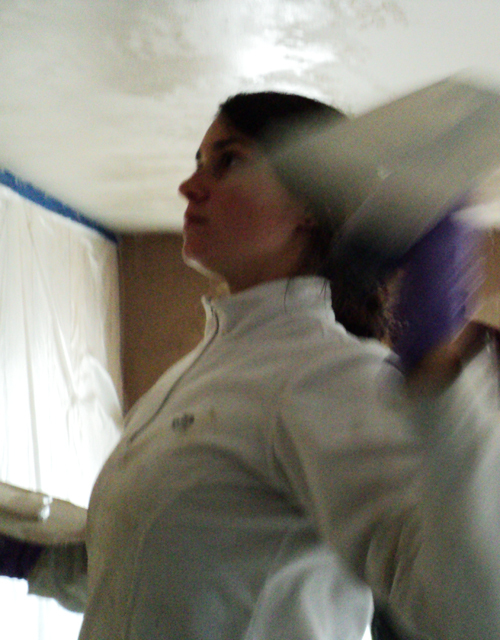 Two rooms received their second coat and the rest of the house received its first coat. It was very much like serving the master tea: spreading the thin, frosting like plaster (wonderfully mixed by Grant) across the ceiling’s surface, following through with each arched movement. It was frustrating as hell at certain points, and then we became silent and, while still remaining a sloppy mess of a job, we found ourselves moving from one end of the house to the other with no major mishaps. 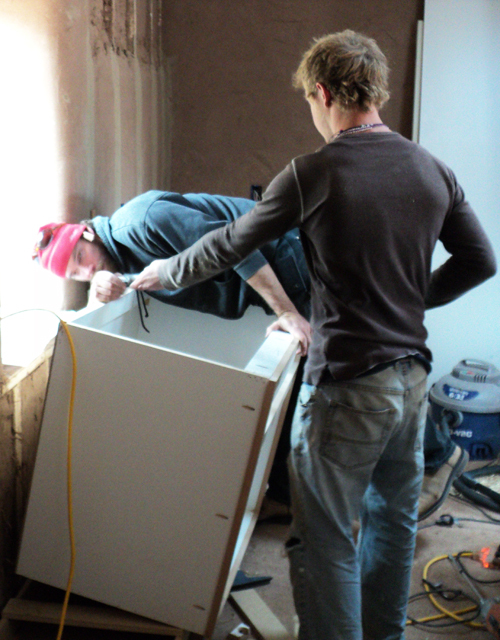 Wade and Eric began installation of the lower kitchen cabinets. 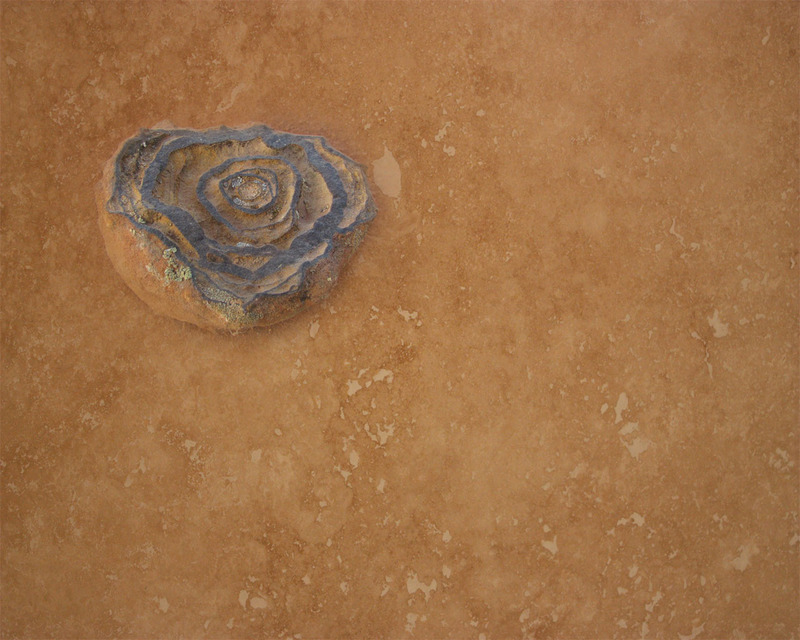 They are the first official bits of installation inside the house. The electricians also came and built the sockets and placed socket covers. There were also men there laying the sewage line from the house out to ‘the main,’ wherever that was. A big trench was dug and filled stretching from the house and busting up the street as well. A great day for heavy machinery. Jerry and Lisa concentrate in the main room. 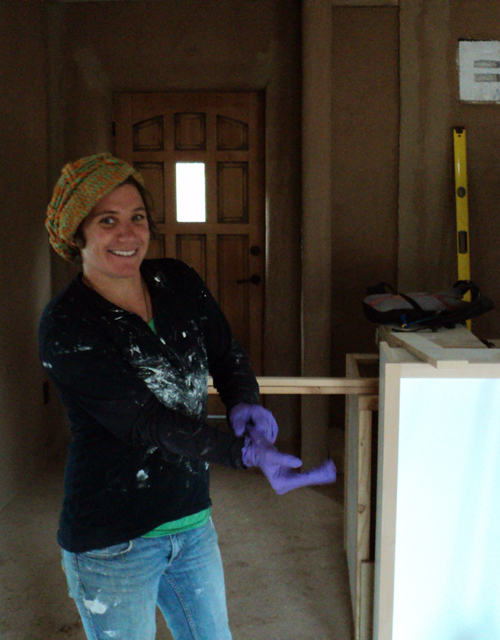 These cabinets were custom-built for the house by Moab’s Chris Orem, his assistant Francisco and the CR crew. Serah concentrates in the bathroom. She sometimes sticks her tongue when she’s concentrating. 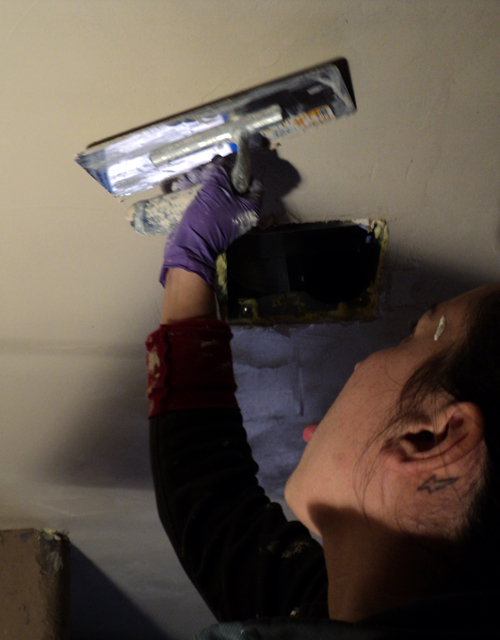 Paige gettin’ ready for plaster. We were all covered with white plaster by the end of the day. Kelly let us use his special cleaning brush to knock all of the clump bits off our clothes. Thanks Kelly.